One of the biggest challenges facing an iPhone photographer is battery life. On an eventful day you may be tempted to take 500, 700 or even a thousand photos… if your battery would last long enough, that is. On an average day, you can expect your battery to be dead after just about 300 shots, especially if you also use your smartphone for other functions. 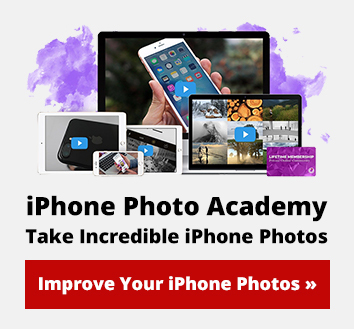 In this article you’re going to learn about the different options for improving the battery life of your iPhone so that you always have enough power for taking the perfect shots. One way to solve the battery life problem is by using an external iPhone battery. I haven’t used any of them myself, but I’ve heard good things about Anker external batteries such as this big one and this smaller one . Keep in mind that a full charge of the iPhone is about 1,430 mAh, so even a big 1000 mAh external battery will probably only charge your iPhone to about 70%. If you have a laptop in your backpack, you can just charge your iPhone from there. If you have a Macbook, plug the iPhone in, turn the Macbook on, and then close the lid so that it falls asleep. As long your Macbook is sleeping, your iPhone will keep charging. This has saved me on countless different occasions. In fact, sometimes I even take my Macbook with me just so that I can charge my iPhone. Since the iPhone needs significantly less power than your laptop, you could do this over and over again without significantly depleting the battery of your laptop. If you’re traveling by car, I strongly recommend that you pick up a good car charger for your iPhone. 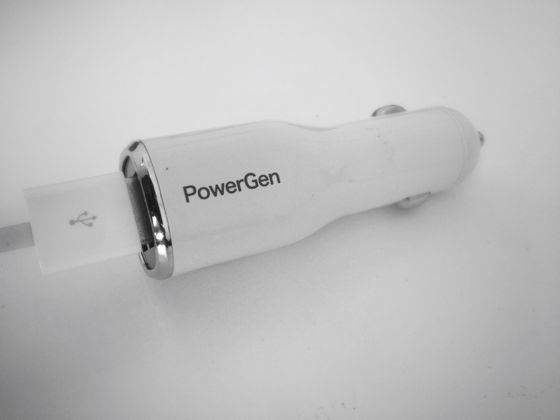 The one I use is made by PowerGen and it’s one of the very few car chargers that has enough power to charge an iPhone and a Retina iPad simultaneously. Of course, this is great, not only for travel photography, but also for in-car entertainment and navigation. If carrying around a separate battery or your laptop seems like a hassle, you could also try using an external battery case. These cases work just like regular iPhone cases with the exception that they can also charge your iPhone. Since these cases contain extra battery cells, they tend to be quite bulky and often ugly. I don’t use any external battery cases myself because I don’t like the idea of packing the iPhone, a beautiful industrial design masterpiece, into a cheap-looking plastic casing. In that case I might as well go for a Samsung phone (sorry, Android fans). If you can get over it, there are several different options on the market that you could choose from such as this one from Mophie, this one from uNu or this one from Maxboost. If you decide to get one, make sure to compare the power capacity of the different cases, remembering that a full charge of iPhone represents about 1430 mAh. Also keep in mind that some cases and chargers are only compatible with iPhone 4/4S while others are designed only for iPhone 5. Even if you equip yourself with one of the charging solutions I mentioned above, you may still find yourself in a situation where you want to conserve power at all costs so that you could take even more photos. This is exactly what happened to me when I was taking several extremely long day hikes in Yosemite. Of course, there was nowhere to charge my iPhone on the trail. 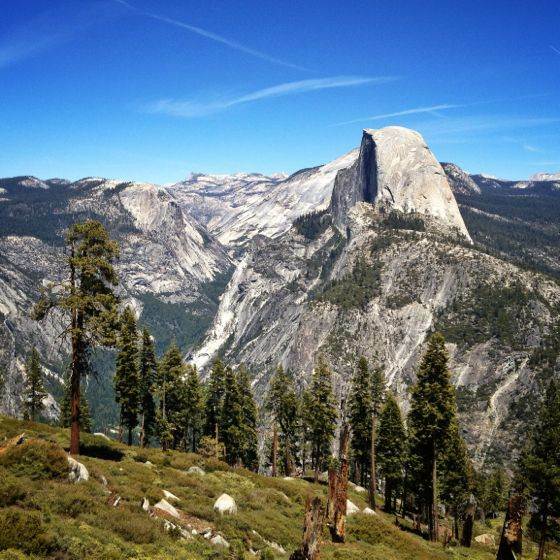 And if you’ve been to Yosemite, you know why I wanted to take photos so bad. Luckily, I didn’t really need to use my iPhone as a phone (there’s poor reception anyway), so I turned on the Airplane Mode in the morning and left it on throughout the day. To my surprise, about 15 miles and 400 photos later I still had 70% battery life left. I couldn’t really say that about my own batteries. After 13 hours of hiking though the mountains I was just dead. The reason why Airplane Mode could save so much power was twofold. First, the iPhone didn’t have to spend energy to stay connected to the network in a low reception area. The downside of this (or the upside for some people) is that I couldn’t receive any calls while I was using Airplane Mode. But more importantly, the iPhone did not have to turn on GPS every time I was taking a photo. By default, all iPhone photos and videos are geotagged, meaning that the iPhone records the exact location at which the photo was taken. Geotagging is, of course, awesome as it lets you sort your photos by location and see where they were taken. But there is also a downside to geotagging, and that is power consumption. Probably half of the power that’s consumed while taking a photo is spent on geotagging. If you think you can trade the valuable geotagging data for the ability to take way more photos on a single charge, you can simply turn it off by going to Settings -> Privacy -> Location Services and turning location services off for Camera. That way you can take way more photos while your iPhone is still fully functional. With that said, I only do this is extreme situations. I love geotagging data, and it’s just awesome to know exactly where your photos were taken long after you’ve long forgotten the exact details of your adventures. But when I really need to take significantly more photos on a single charge, I’m happy to turn geotagging off. You can also do other power-saving adjustments such as reducing screen brightness and checking your email less frequently, but these adjustments will have a relatively small impact on your battery life.